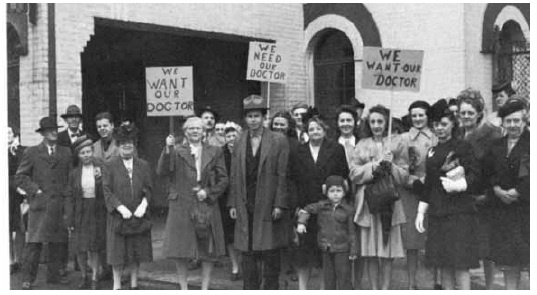 While many people are aware that we chiropractors have been fighting uphill battles with the Paramount Powers of Mainstream Medicine since day one, most people are unaware that often meant going to jail on behalf of our profession during the first half of the twentieth century. It all really began in the early 1900’s — a case of big time philanthropy gone sour. In an effort to help improve the standards of medical education and its emphasis on science, the Carnegie Foundation in 1909 commissioned Abraham Flexner to visit medical schools and write a report on the status of medical education in the United States and Canada. The report found that many of the schools were substandard. It stressed the need to link medical schools with universities and heavily emphasized the need for scientific research and the application of the “fruits” of this research to medical practice. In addition, it proclaimed the biological sciences as the knowledge base for the practice of medicine. Apparently, the report was so attractively presented, that the Rockefeller Foundation decided to jump aboard to help bring about its implementation through the funding of additional grants. Up to this point the plan seems like a great public service. Unfortunately, this is where it sours. With the Flexner Report in hand, a healthy nod from the American Medical Association (AMA) and its close partner, the Association of American Medical Colleges (AAMC), along with the financial backing of Carnegie and Rockefeller, medical education reform was in full swing. One author, a medical doctor, stated that the combination of the monies from the Rockefeller Foundation and the influence of the AMA and AAMC virtually gave birth to the strongest professional monopoly in the United States: Organized Medicine. It’s not that chiropractors didn’t want to improve their educational and professional standards — they tried — but their efforts were always thwarted. One notable area was that of state licensure. Given the power that Organized Medicine had garnered, they now held the cards for governing all health professions. So it should come as no surprise that they strenuously fought every effort by chiropractors to obtain licensure. Consequently, chiropractic in most states fell under the jurisdiction of the medical laws. So, what did this mean to a practicing chiropractor in these states? Well, according to Organized Medicine, he’d be practicing medicine without a license — a crime punishable by fine or imprisonment. It certainly goes without saying that practicing chiropractors of this day were a special breed. Not only did these chiropractors have to firmly believe that what they were doing was important enough to technically put themselves in conflict with the law, but they had to be willing to accept the consequences when the police showed up at the office door. While most chiropractors simply paid their fines and were back in the office seeing patients later in the afternoon, many decided that simply paying their fines was in essence a plea of guilt and instead chose to stand up for their belief in their profession. “Go to jail for chiropractic!” became a popular slogan amongst the chiropractic community. This chiropractic martyrdom captured the hearts of the press and the public at large. Crowds of up to 1200 people were said to have gathered to voice their outrage at the senselessness of these arrests. Over 100,000 pieces of mail poured into one prison regarding the arrest of a husband and wife chiropractic team who were forced to say goodbye to their twin 3-year-old girls at the jail door for their 100-day sentence. In California — one of the more intensely policed states — legend holds that the policy of the California State Medical Board was that at least one chiropractor should be kept in jail in each county at all times to set an example. Ironically, most of the incarcerated chiropractors opened up “practices” right there in their jail cells — continuing to commit the very crime they were locked up for in the first place. These chiropractors were not only treating their fellow prison mates, but the guards as well! Some even went on to make political statements by adjusting their regular patients from the jails. It wasn’t long before the people of California were able to bypass the legislative process and obtain chiropractic licensure by public vote in 1922. All other states over the next 50 years were able to do the same in one way or another. [Louisiana, in 1974, was the last state to license chiropractors]. Today, even though chiropractors enjoy licensure in all 50 states, not all parts of the world can say the same. Arrest and jailings of chiropractors for “practicing medicine without a license” continues today in various countries. As unfair as this sounds, history has shown, that we chiropractors will not be stopped. We certainly stand on the shoulders of giants in this profession, for without whom we would not be where we are today. Dr. Herbert Ross Reaver, chiropractor, was known as the “most jailed chiropractor” of the 1900s. He attended Palmer chiropractic College in Davenport, Iowa in 1926. He practiced chiropractic for more than 70 years. He passed away on February 7, 2000. Reaver was reportedly once beaten with two by fours for providing chiropractic care to “dark skinned” baseball players. Check the source article for more information and links to historic videos.